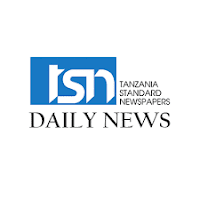 The Tanzania Standard (Newspapers) Limited (TSN), a wholly-owned Government’s media house, was established under the Companies Act, 2002. TSN is the oldest medi house in Tanzania, and its operation dates back in the 1930s. The Government vested TSN with the responsibilities of investment in publication and distribution of newspapers. The Company publishes Daily News, Sunday News, HabariLeo and SpotiLeo as well as online editions of these newspaper. • Holder of a Bachelor’s Degree in Mass Communication, Journalism or a Bachelor’s Degree in any related field PLUS a Diploma in Journalism/Mass Communication or equivalent qualification from recognized institutions. Remuneration Salary and other benefits in accordance with TSN’s Salary Scale, Company’s Incentive Regulations, and other terms and conditions of the Public Service. • Performs any other duties as may be assigned by the Head of Section/Unit Directorate. Qualifications and Experience: Holder of a Diploma (NTA level 6) or Full Technician Certificate (FTC) in Mechanical, Electrical, Electronics, Civil, Plumbing and Carpentry or equivalent qualifications from a recognized institution. In addition, the candidate must be competent in relevant computer applications. Qualifications and Experience Holder of a Diploma in Business Administration/Commerce majoring in Marketing, Sales and Marketing, Advertisement, Logistics Management, Supply Chain Management or equivalent qualifications from recognized Institution. • Holder of a Certificate of Secondary Education Examination (CSEE)/Advanced Certificate of Secondary Education Examination (ACSEE) plus Certificate in Printing or equivalent qualification from a recognized institution. • In addition, the candidate must be competent in relevant computer applications. Post title should be indicated on the upper – left corner of an envelope; Application deadline: Friday, 19th April, 2019, at 16:00 Hours.